We were very pleased to attend a special event today (Friday 28th December 2018) at the Lauder Monument at Invernoaden in Argyll. 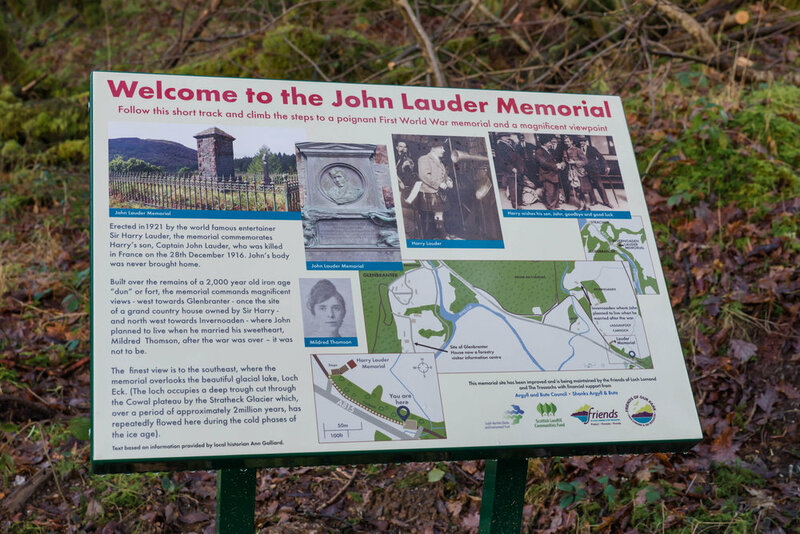 The event was to commemorate the 102nd anniversary of the death of Captain John Lauder who was shot and killed by a sniper in France during the First World War and to mark the completion of a 3 year project by conservation and heritage charity, Friends of Loch Lomond & The Trossachs to restore the Lauder Monument that was originally unveiled in 1921 by world famous entertainer Sir Harry Lauder in memory of his son. 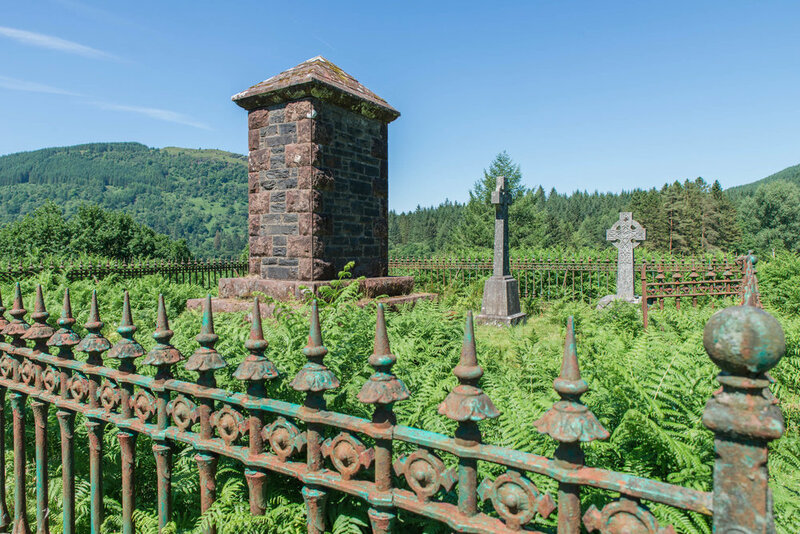 Our last visit to the Lauder Monument was in the summer, where we found the memorial in desperate need of cleaning. The railings around the memorial had not had a coat of paint for over 30 years and the monument was difficult to access due to a lack of cleared pathways. Despite the winter conditions you can certainly see the impact that the improvements have made to both the memorial and the site as a whole. 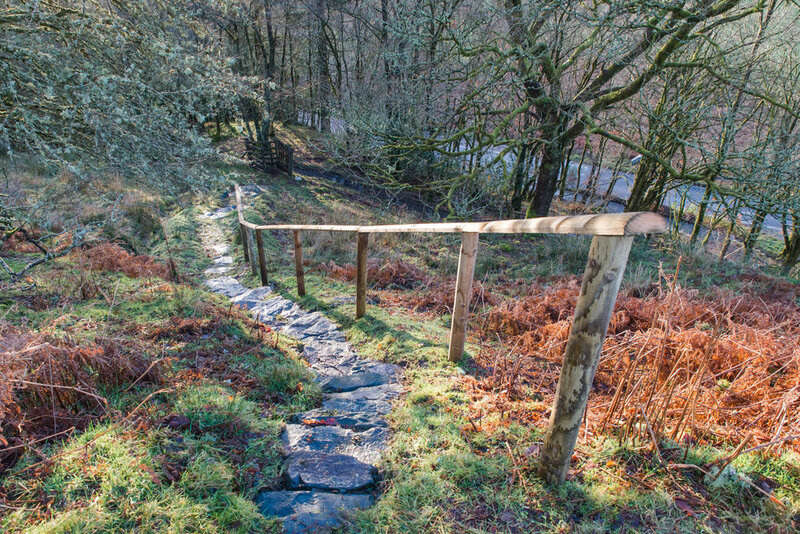 The £25,000 project, coordinated by Friends of Loch Lomond and The Trossachs, also involved the creation of a new car park, along with a new path link, upgrading an existing steep path with stone steps and safety railings and installing two story boards and various signs. 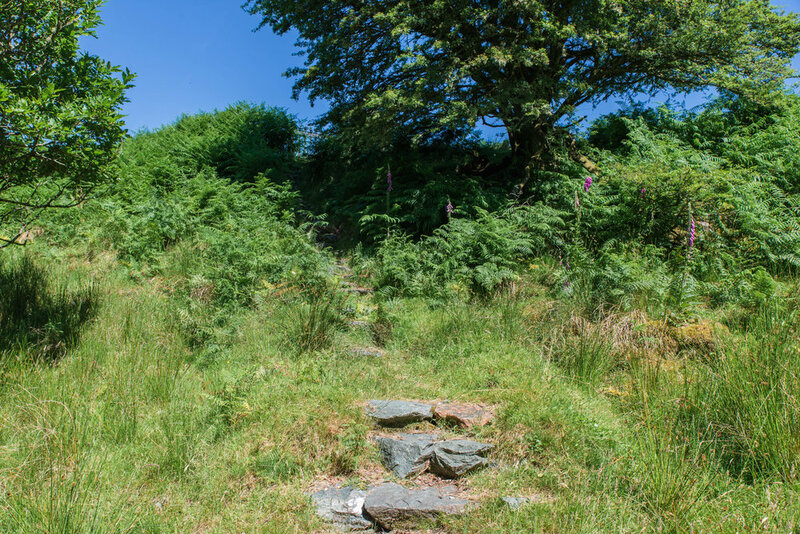 Funding was secured from two Landfill Trusts and the Friends of OUR park visitor giving scheme and many hundreds of hours of labour were generously provided by volunteers to ensure the project was completed on time. Back to the event and local youngsters contributed with a series of their original drawings depicting the tragic Lauder Story adorning the ornate railings around the monument and poignant letter and poetry readings as well as musical tributes on the bagpipes including battle of the Somme. At the event today was the great grandson of one of the people who had been at the memorials opening in 1921. Also someone had brought along their cherished Sir Harry Lauder signed photograph. 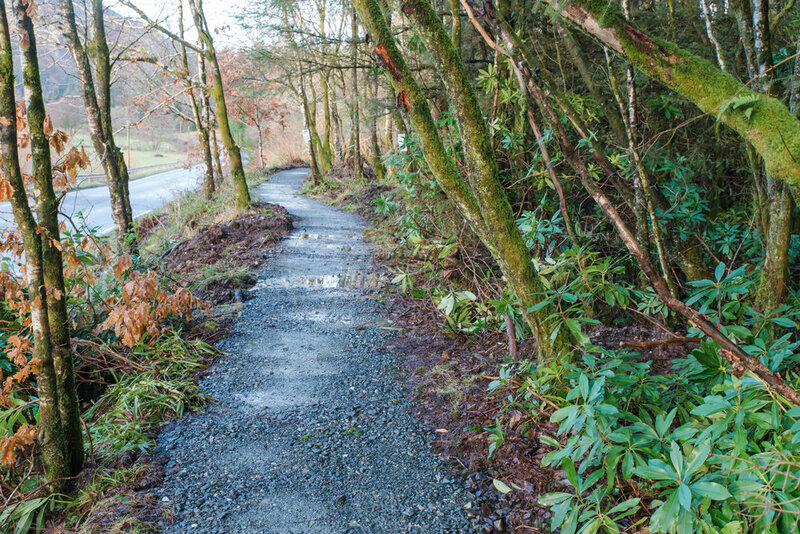 Sir Harry Lauder purchased nearby Invernoaden House and the 14,000 acre Glenbranter Estate as an engagement present for his son John and his bride to be, Mildred Thomson, in 1916 but sadly John was tragically killed before they were married and able to enjoy family life in this special part of the National Park which was eventually sold to the Forestry Commission to form part of the Argyll Forest Park-the first Forest Park created in Great Britain. It is good to know that the story of both John Lauder and his father Harry Lauder will continue to be told to future generations. 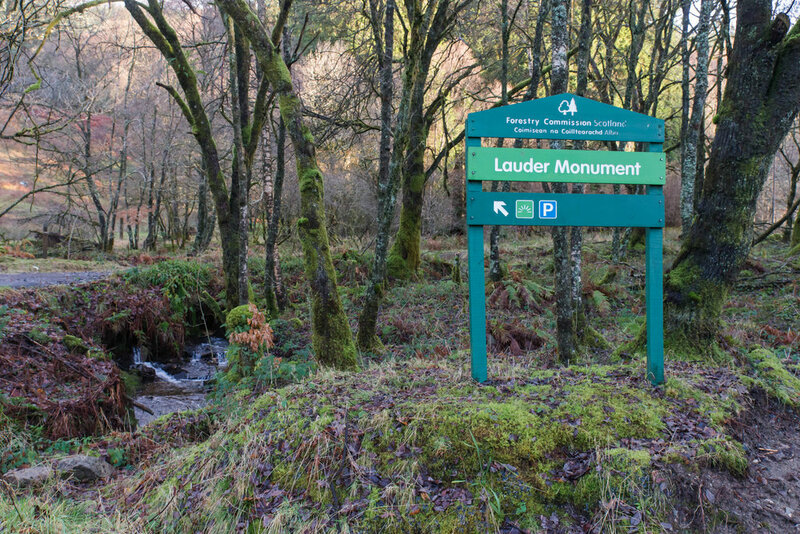 In his day Harry Lauder was one of the worlds biggest stars and it is fascinating to understand his connection with his beautiful part of the National Park.